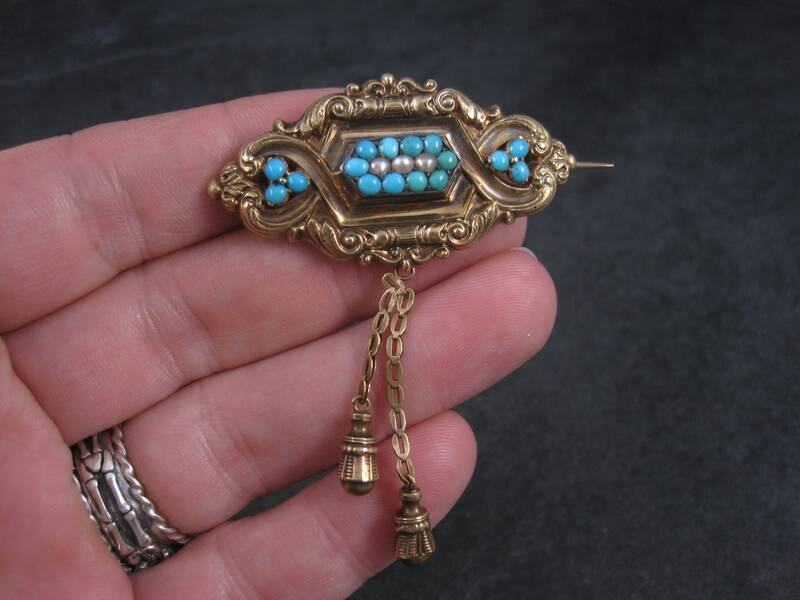 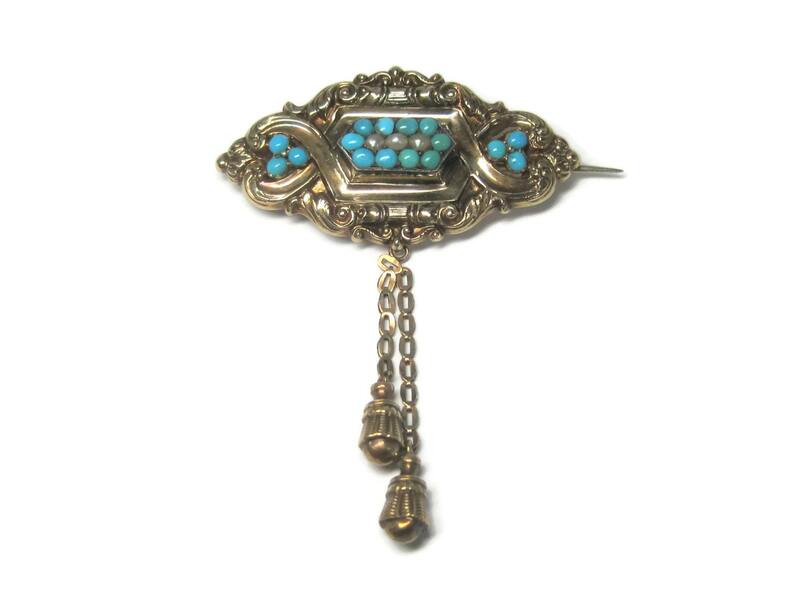 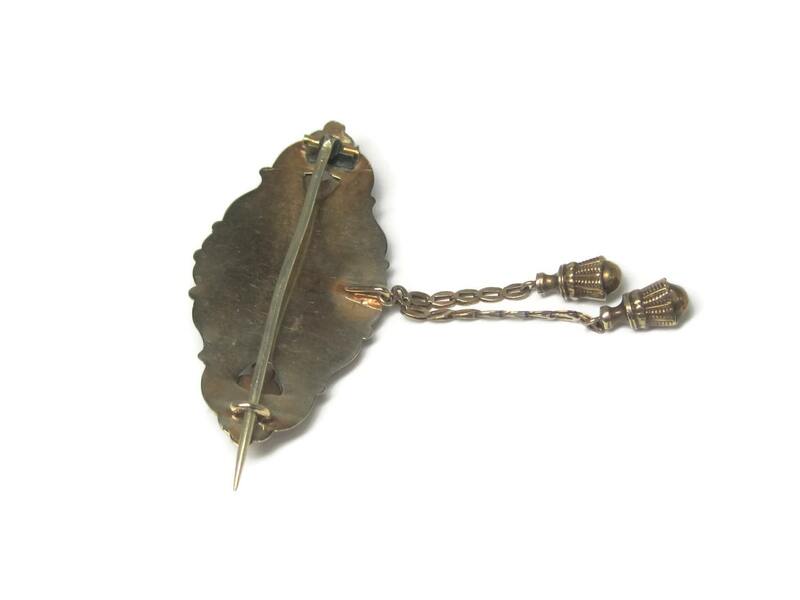 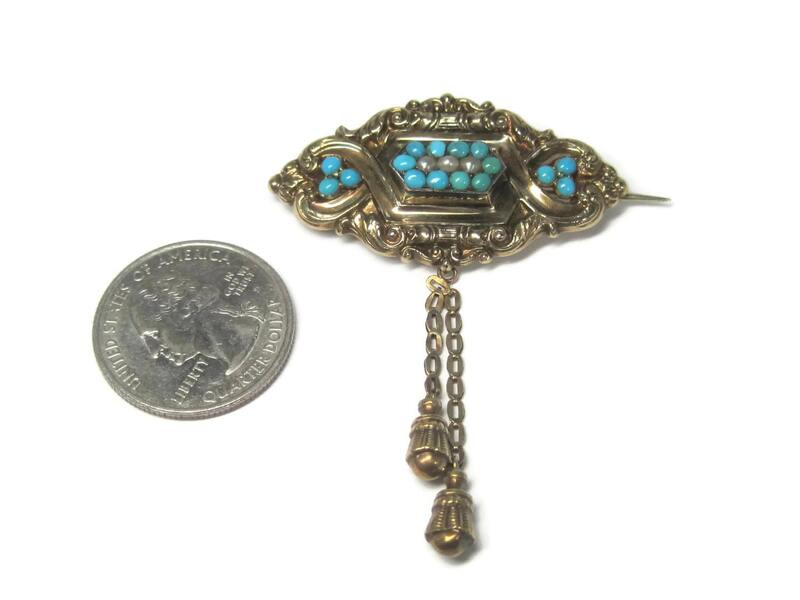 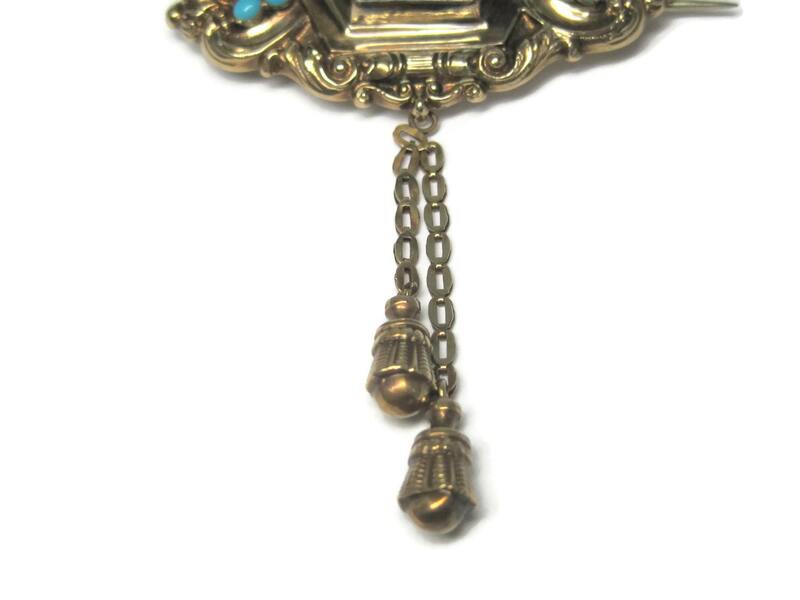 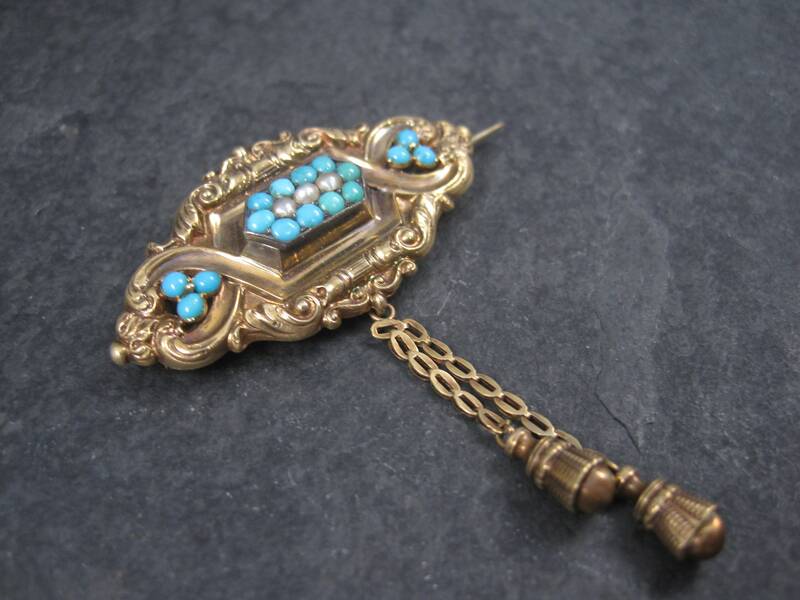 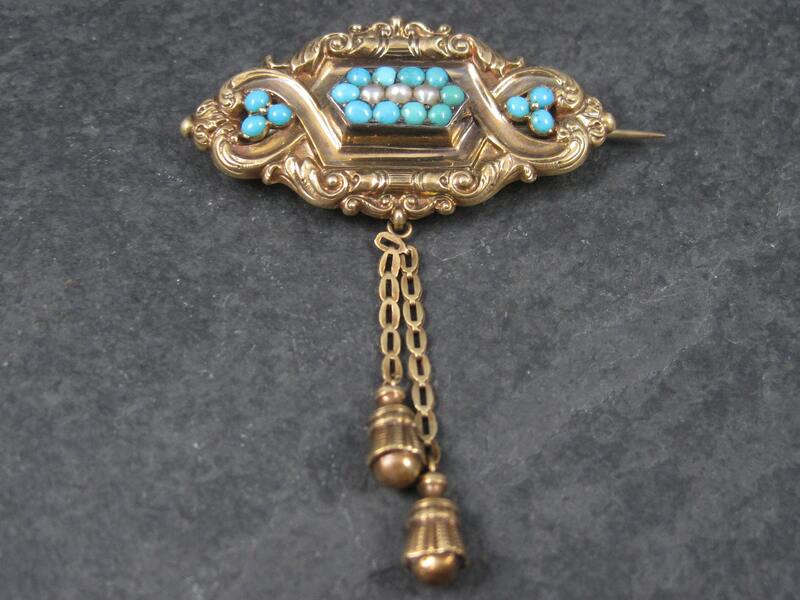 This gorgeous, ornate victorian brooch is 14k gold. 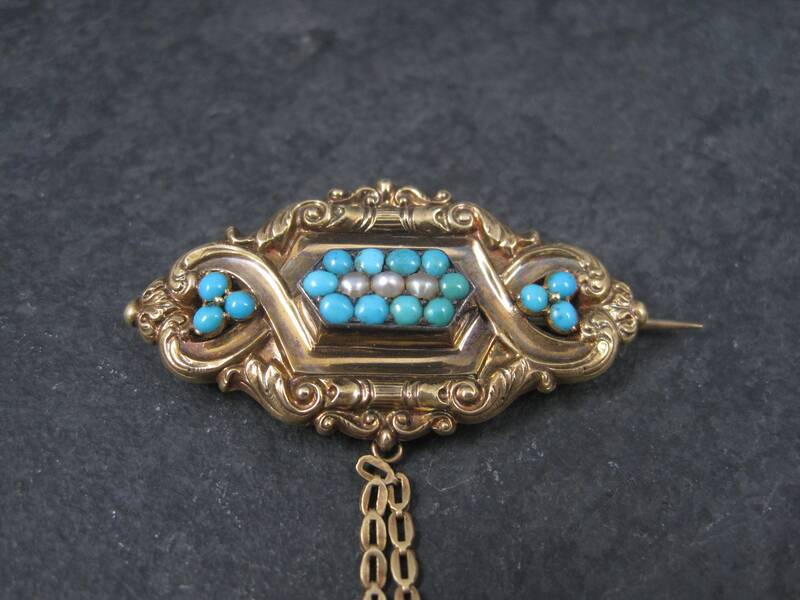 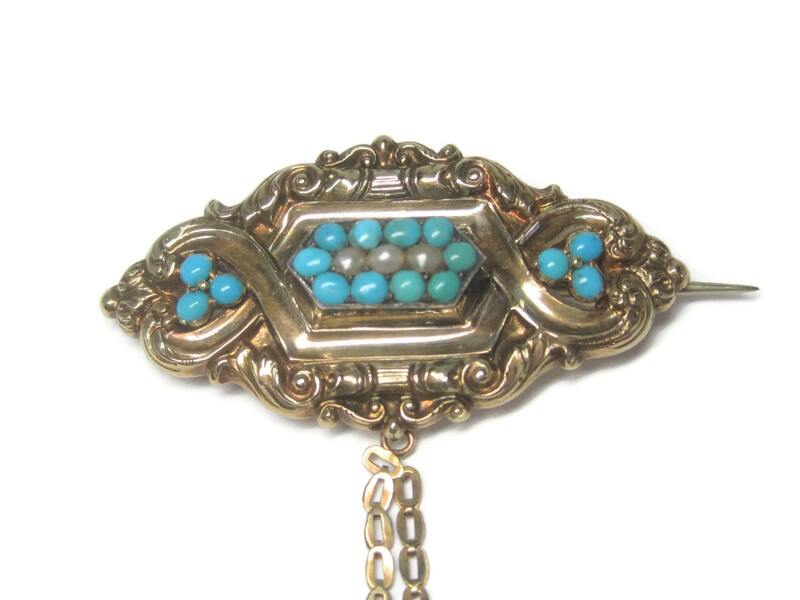 It features 16 natural turquoise and 3 natural pearls. 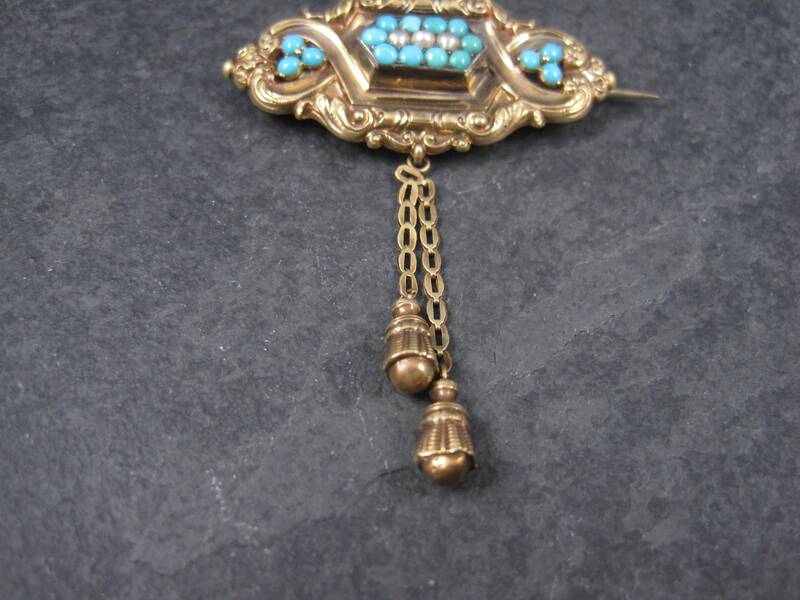 Measurements: 1 3/4 by 2 3/8 inches.